As the heating season draws to a close and wood burners are being used less and less, the time to plan for next year’s wood stock is fast approaching. Ensuring a wood stack is regularly stocked and re-stacked is important to the quality of the fuel and burning efficiency, so as the days get brighter and warmer, it marks the perfect time to prepare for next heating season. 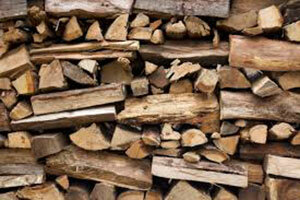 The Spring and Summer months provide the perfect opportunity for sourcing and storing wood. As the weather improves, it helps logs dry and season well – ready for those colder parts of the year where logs are a necessary requirement to heat the home. When is the best time to re-stock? First of all, it is vital that any wood left over from winter is removed from the store and re-stacked after stocks are replenished. This helps simple stock rotation where the oldest wood can then be used first, ensuring the most seasoned wood is used before the new wood to help with burning efficiency. Wood is typically cut and split into manageable pieces in the early Summer, from trees that have been cut down in the deep winter. This is because the tree won’t have produced any sap, so they won’t take as long to dry as the moisture content will be lower. These pieces can then be stacked and stored to air dry and season. It is recommended to do this for about 2 years; however this is not practical in most cases. Signs of a well-seasoned log include a drying-out split in the ends, whereas wet or newly-felled wood can cause tar or creosote to form in the wood burner and chimney. How should logs be stacked? For optimum results, the wood should be protected from direct rainfall and stacked on a on a dry base; a wooden pallet for example. In order for wind and air to dry the logs even more, it is advisable to keep each side of the log stack open, or at least with good ventilation. Most wood sheds available are ideal as the slatted walls allow for air to pass while keeping the wood dry. The crisscross technique – stack a layer of level pieces on the base in equal rows, the layer above should also be equal but placed in the opposite direction and so on. This will allow enough air to reach all logs and season effectively. Tall rows – stacking the wood in tall rows, creating level layers using the straight cut edges is a good space saving technique. All that is then needed is a small roof to cover. Round stack – create a round external wall made from already split logs built up to an equal height, then fill with randomly stacked logs. A roof can also be created with logs, bark side up, to create a wood store that also looks nice. Do not stack wood randomly. This will not give air a chance to enter and it will not season accordingly. How should logs be stacked indoors? Of course, once logs have been seasoned and the temperature has dropped, it is time to get those logs and use them in a wood burning stove to heat the home. Many people stack logs within the fireplace next to the stove for ease of access and further drying before use. This is not advisable. Stacking wood immediately next to a wood burning stove, or any other working heat appliance, is highly dangerous and can cause a great deal of damage should it catch light. If a stove has been going for a number of hours, the heat it emits can cause logs to catch fire which can soon get out of control if not caught fast enough. Having a log basket in a porch or hallway is advisable. This way logs are easily accessed but away from combustible appliances. Stacking logs indoors helps them to dry even more and can have a nice aesthetic look, with many accessories on the market that can assist in their stacking for optimum decorative results. As long as they are seasoned, dry and stacked according to the above techniques, an indoor log store can offer rustic charm to any home. 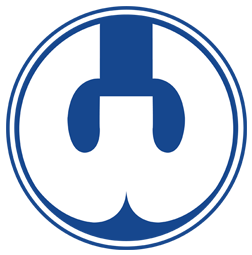 For more information about assuring wood fuel’s quality, please visit the Woodsure website. It is the UK’s only quality assurance scheme, which means the information provided is credible and trustworthy. For further information on sourcing wood and starting a wood store, using a local supplier, use the ‘Find a Supplier’ page on Woodsure’s website. This will ensure local and quality wood is sourced for efficient burning. Like what you see? Why not share this story via social media and spread the word about our ever expanding range of courses and top quality services?! Simply click on the icons below to be taken to our respective social media pages, for updates on the latest Waxman Training news, courses and events.